So sayeth the license plate frame on this 1990 Toyota Sera, and we could not imagine a more perfectly located aphorism. 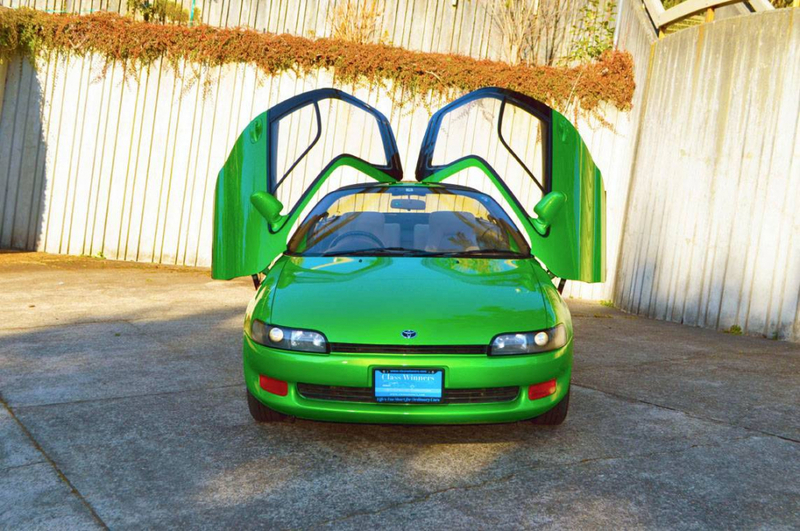 The clear attention getter here is, of course, the butterfly doors. They were indeed factory-engineered and -built by Toyota. They were so good, in fact, that legend says McLaren design chief Gordon Murray borrowed his neighbor’s Sera back in 1990 and reverse-engineered the design as the basis for the doors in the McLaren F1. 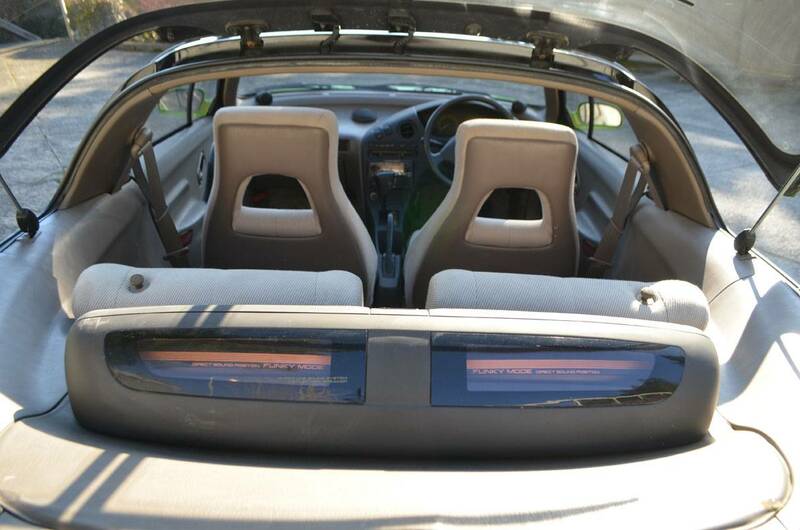 The rest of the car is a bit more mundane, at least comparatively. 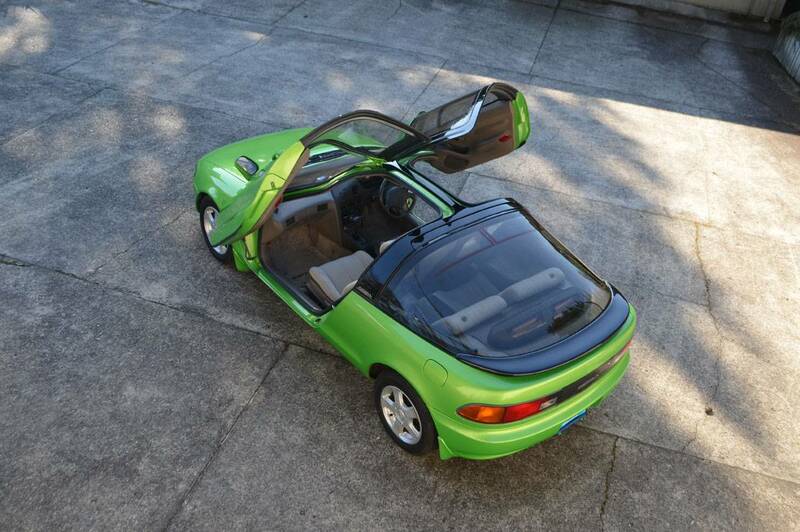 The Sera began life as the AXV-II concept car first shown at the Tokyo Motor Show in 1987. The showy doors were in place way back then, covering both the sides and the top of the vehicle, ostensibly to allow easy opening in tight parking spaces. We speculate they were just cool. The roof and hatchback were all glass, creating a incredibly airy cabin for such a small car and a sleek, futuristic exterior. Engine suspension, and mechanicals were all shared with the Toyota Starlet, a humdrum city car with little to recommend it other than legendary Toyota reliability and the occasional turbocharged special edition (if Godzilla had a cat, it would be a Starlet Turbo). 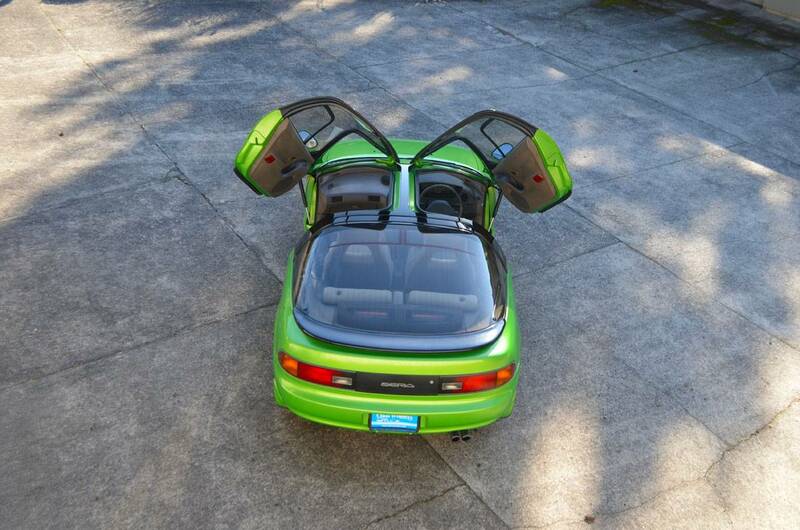 The bewinged concept was a hit and entered production as the Toyota Sera in 1990, butterfly doors and glass canopy intact. It shared a platform with the Starlet, Tercel, and Paseo, and was manufactured until 1996 with for a total run just shy of 16,000 units. The car was built exclusively for the Japanese market, but 89 were not registered there. Perhaps this is how McLaren got their hands on one. Importation rules allow any vehicle over 25 years old to be imported to the U.S., so Seras are beginning to appear on our shores. The shared mechanicals are a blessing for buyers, as parts can be found at the Pep Boys down by the mall. 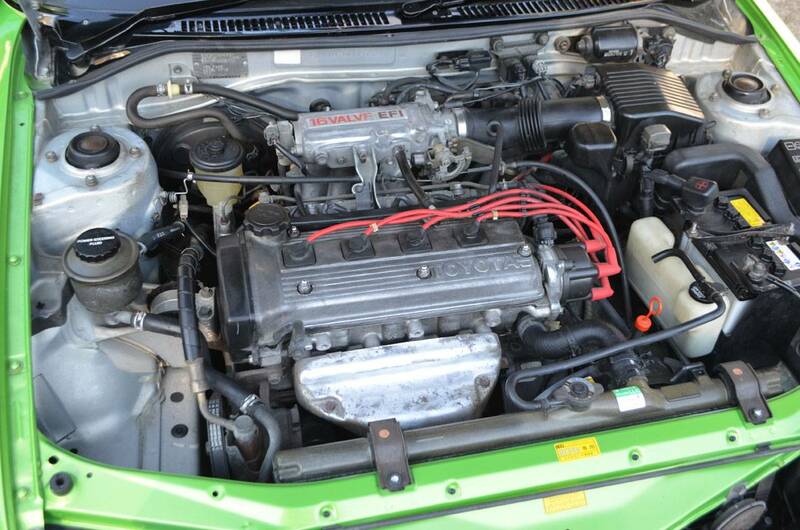 The standard and only engine is a 1.5-liter twin-cam four, which made 100 horsepower when installed in a Tercel. The Sera weighs in at just 2,050 pounds, so there may be fun available. Transmissions could be had in four-speed automatic or five-speed manual, and power was sent to the front wheels. 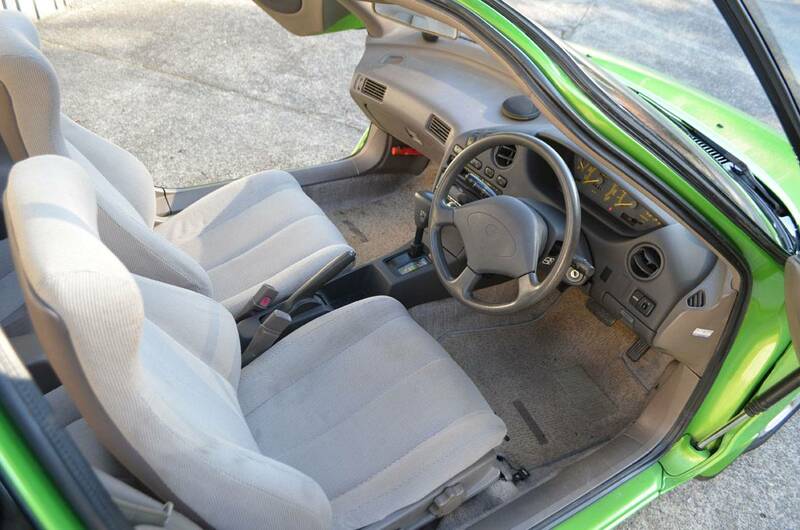 This splendidly clean example for sale in Olympia, Washington has the automatic option and wears factory Action Green paint. The clock shows a low 57,100 miles, and the sale includes the original spare and jack, as well as the sunshades and storage bags. We are not sure what Funky translates to in a vehicle the size of a basket of kittens, but we are pretty damned sure we’d like to find out. It is the cherry on top of a wild JDM rarity, in a market beginning to take notice of Japanese cars. 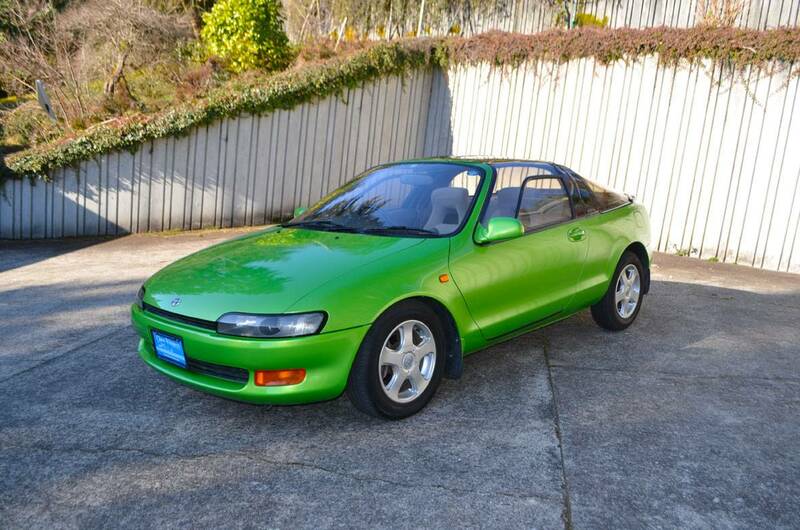 So would you buy this 1990 Toyota Sera? We would. The jury’s still out on the projected appreciation, but this delightfully bold styling exercise will steal the limelight at every cars-n-coffee it attends for years to come. The unique personality alone is worth the asking price of $10,500, and imagine having a vintage gullwing that starts every single time the key is turned. 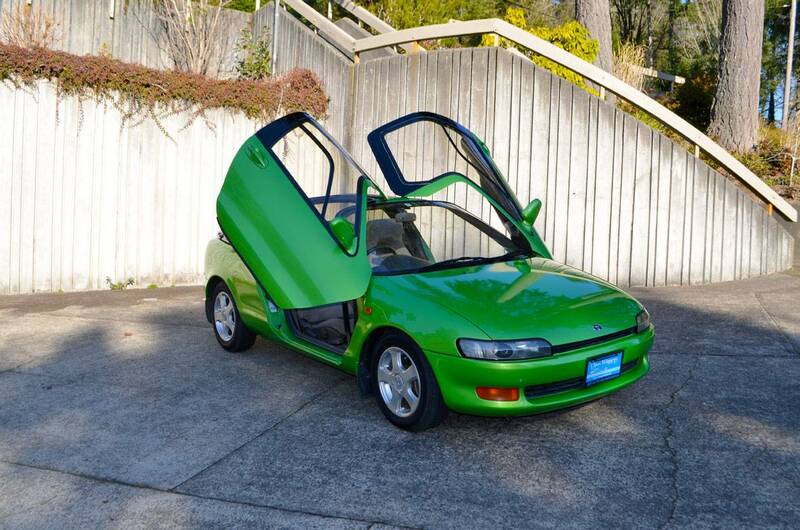 The 1990 Toyota Sera is for sale here.